You may have seen on Instagram that my son got a new Mickey waffle maker for Christmas, and let me tell ya'll, we use it all the time!! It is so quick and simple to use. Waffles are becoming a favorite breakfast food at our home...and soon to become a dinner staple as well! A new cookbook is on the way in February and I know it's going to be a hit, at least with my family! I've seen a sneak peek of the new 150 Best Waffle Maker Recipes book, and can tell you that the book is filled with easy to prepare recipes and easy to follow instructions. Better yet, the new cookbook features 150 delicious recipes for sweet and savory waffles, with vegan and gluten-free options! Below are the details. Let me know what you think! 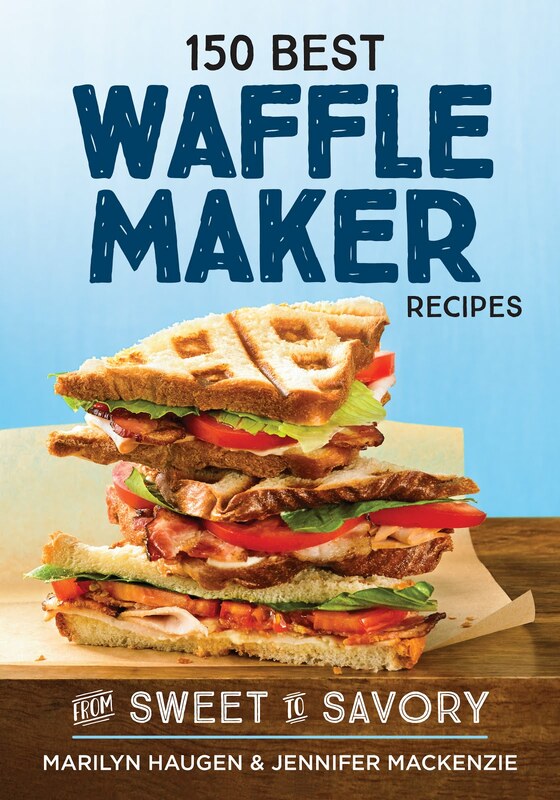 Bestselling authors Marilyn and Jennifer have created 150 delightfully delicious and inspired waffle recipes, from delectable breakfast and brunch options to snacks, burgers and sandwiches to tantalizing desserts and treats.